For a bit of color be sure to visit the Quarry Garden. 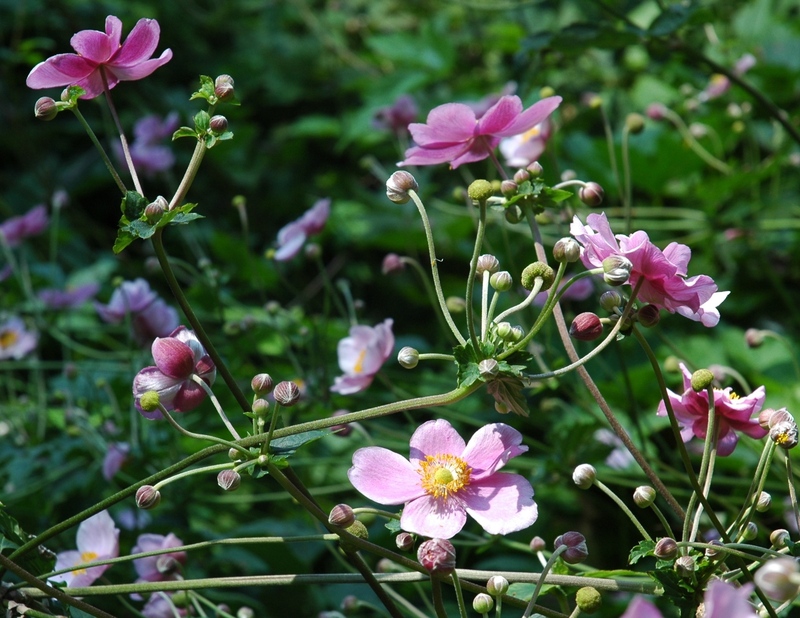 Above the quarry you will find Japanese anemones in soft and vibrant pinks mixed with the chartreuse flowers and foliage of Heuchera villosa. They make good companions because they both do well in partial shade. The anemones can take full sun if given adequate moisture however we have found that the Heuchera will scorch in full sun. Both are tough plants that need little care.